If there is one county where local history should loom large on the political landscape that should be Dutchess County. 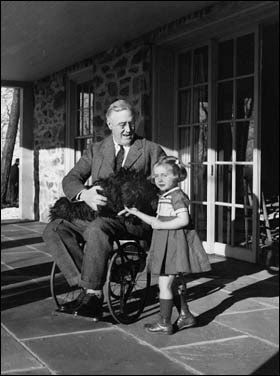 It was less than a century ago when it had arguably the most famous local historian in America, President Franklin Delano Roosevelt. That historical legacy contributed to the disappointment over the fact that Dutchess County did not have a county historian when I began writing at New York History. In a series of posts surveying the various New York State history community constituencies I devoted one post to the County Historians. I noted that some counties were not complying with the state regulations. Dutchess County was one violator, but I anticipated that would be rectified following the County Executive election for since both major-party candidates endorsed filling the position. There is a story to be told in how that happened that sheds light on the position of county historians throughout the state as well as with implications for the Path through History project. Initially, the intention of newly elected Dutchess County executive Marc Molinaro was to fill the position with a part-time historian. That attempt generated a handful of applicants from within the county. In the meantime, behind-the-scenes discussions were occurring by people “with some political clout” as one person put it in an email to me. These entreaties to the county executive proved successful and the position was expanded to full-time by combining it with another vacant part-time position. With the prospects for a full-time position, the number of applicants skyrocketed to about 75 and eventually Will Tatum was hired as a salary of $53,867 plus benefits. I wonder how many county historians are full-time in their jobs. It should be noted that Dutchess does not have a fully-functioning archives, so a joint historian-archive position (which exists in Montgomery and Livingston counties for example) doesn’t apply here. What is most important about the job and its full-time salary and benefits is that the County Historian position can be a career job, one in which a job a young person could take (with or without a family) and be secure. The Dutchess County Historian position contrasts with the volunteer and part-time positions so common throughout the state, which limit the available pool to retirees or people with a wage-earning spouse and excludes someone trying to earn a living and/or support a family. &#8220I will be nearly middle-aged by the time I get my Ph.D., I won’t have a family, and probably won’t have a job.&#8221 That comment, from a female Ph.D. candidate in history at a University of California campus, is a familiar refrain. The pursuit of a doctorate—a sometimes decade-long, low-wage quest that may or may not end with a faculty job—has been under more critical scrutiny than ever this year. Why does it take so long to earn a Ph.D.? (Recipients are age 34, on average.) Why do we produce so many Ph.D.’s when fewer than half of them will ever hold tenure-track jobs? Is this 19th-century German model of apprenticeship suited to the 21st century? [O]ften overlooked, and growing, [is a] subgroup of Ph.D. recipients, adjunct professors, and other Americans with advanced degrees who have had to apply for food stamps or some other form of government aid since late 2007. Some are struggling to pay back student loans and cover basic living expenses as they submit scores of applications for a limited pool of full-time academic positions. Others are trying to raise families or pay for their children’s college expenses on the low and fluctuating pay they receive as professors off the tenure track, a group that now makes up 70 percent of faculties. Many bounce on and off unemployment or welfare during semester breaks. And some adjuncts have found themselves trying to make ends meet by waiting tables or bagging groceries alongside their students. The past two American Historical Association conferences have featured sessions on the challenges of obtaining tenure-tract positions at liberal arts colleges for history PhDs. Dutchess County Historian Tatum, who expects to complete his dissertation this fall, might have become one such person. He apparently is one person who heard the call to history students that they might want to consider public history as a career path. 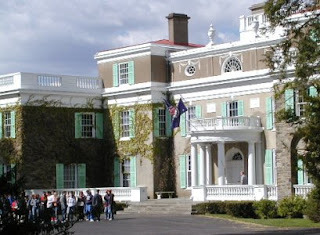 The hiring of Tatum to be the Dutchess County Historian then raises two issues which need to be pursued within the history community in New York State. 1. Why don’t counties hire full-time county historians or what does it take to make county executives realize the cost-benefit of having a full-time person in that position? 2. What should the county historian actually do or do the Guidelines for the position as stated on the New York State Museum website have any validity? Abolish tenure and there’d be less of this tale of two cities aspect to academia, more mobility and probably more opportunities. Municipal Appointed Public Historians in New York State are an interesting and varied lot. I suspect that here in NY State within many municipalities, who you know may be just as important as what you know and it goes without saying that you’d best be of the correct political flavor. Remember, this is hometown politics. In my case, I was appointed because they (Board of Supervisors) couldn’t find anyone to fill the position. This immediately tells you that the pay offered wasn’t enough to generate a significant level of excitement or desire. Also….by the way….this is a provisional appointment and I would need to take the NYS Civil Service Exam for Historian and score in the top three in order to obtain a permanent appointment. This exam is very similar to an SAT English exam. This makes sense, I suppose, since reading and writing well are the main requirements for a good historian. I took the exam after being in the job for about 14 months. Three or four retired high school social studies teachers, a couple of attorneys, a bunch of other county employees paid the $10 to take the exam. There were 22 people who took the exam I think. I ended up tied with one of the attorneys for first place, so I received my permanent appointment and am now in my 9th year. What do I do? What I do may not be particularly attractive to many individuals who have worked very hard to earn a PhD in History. I do what I do out of pure joy of telling the story of this land I live on everyday. 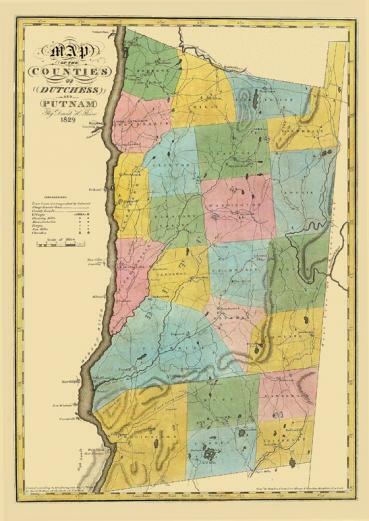 I am truly in love with New York State History….fortunately, my wife shares that love.